The permit for the Confederate Memorial of the Wind was issued Jan. 16, 2013 by the City of Orange. It will display a number of Confederate flags, visible form the Interstate. ORANGE, Texas — A Confederate memorial with flags and columns will soon stand on private property on Interstate 10 despite objections from some local residents in the East Texas city of Orange. Funded by the Sons of Confederate Veterans, the memorial will feature 32 waving flags representing Texas regiments of the Confederate army, along with 13 columns for each Confederate state. 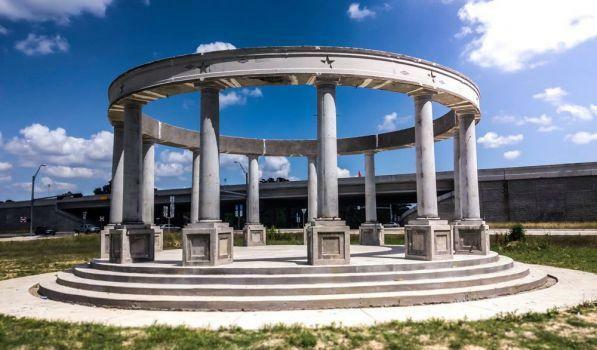 The columns already stand on land near Interstate 10, visible to drivers entering Texas from Louisiana. “I don’t like it. I think it’s a bad idea,” Orange City Attorney Jack Smith told the Beaumont Enterprise in a story published Sunday. While some residents complained about allowing the memorial to go forward, city officials said they could not have stopped the memorial without inviting a lawsuit. Marshall Davis, a spokesman for the Sons of Confederate Veterans’ Texas division, estimated the cost of the memorial at $50,000, raised through private donations, including memorial bricks purchased by local residents whose ancestors fought in the Civil War. Orange is 100 miles east of Houston. While some residents say the memorial evokes an ugly legacy of violence and discrimination, defenders say it’s important to preserve the South’s history. “The more education about the South and what they were fighting for, the more compassion people will have for the Confederates and what they did,” Davis said two years ago when the monument was being planned. Is A Confederate Flag License Plate Free Speech? The U.S. Supreme Court is tackling a question of great interest to America's auto-loving public: Whose speech is that on your specialty license plate? Specifically, when the government issues specialty tags at the behest of private groups or individuals, can it veto messages deemed offensive to others? 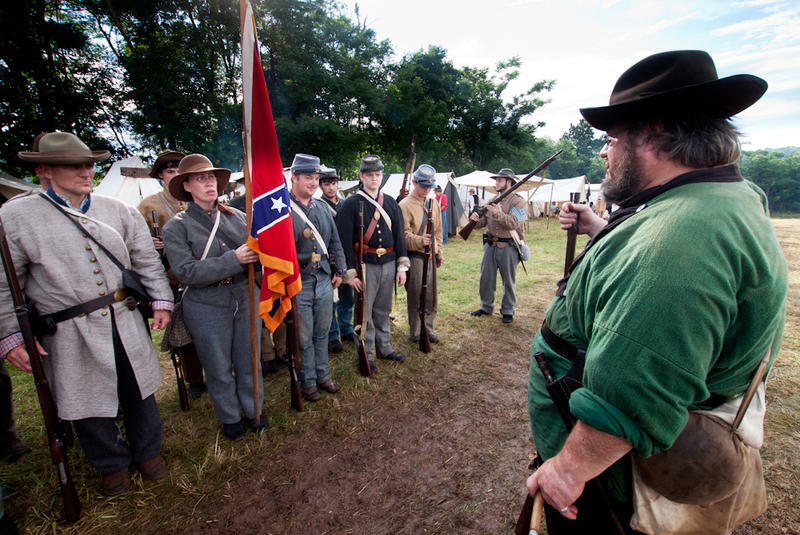 The Source: Stonewall Jackson, Can A Rebel Be Separated From His Cause? Stonewall Jackson is a key figure in US history. The Confederate general is famous for his strict tactics, bold military procedures, and legacy that still survives today. Historian and author S. C. Gwynne says Stonewall Jackson is also more complicated than his simple claim to fame. Though a successful general, Jackson was much less accomplished before the war. Prior to his military career, Jackson was a failed businessman and notoriously bad physics professor. Despite these early struggles, Jackson was transformed by the war and gained both rank and infamy in the Southern army. There are more than 300 specialty plates in Texas, paying tribute to things like wild turkeys, Dr. Pepper and the fight against terrorism. 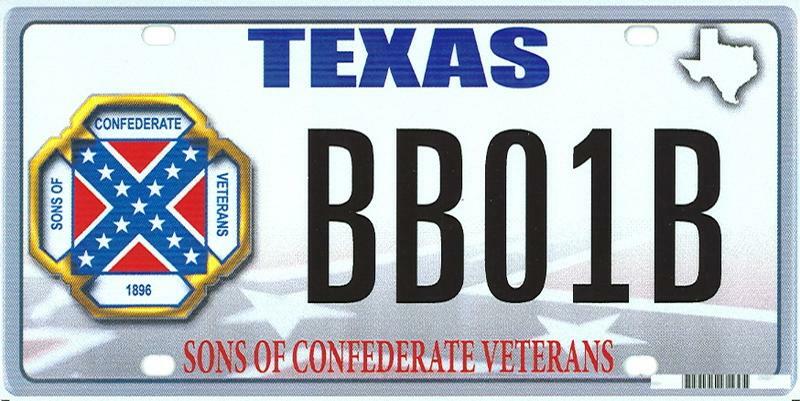 But when one group submitted a plate design with their logo — a Confederate flag — it was rejected by Texas officials. On Monday, the constitutionality of that rejection will be considered by the Supreme Court. At issue is whether the license plates constitute government speech or an individual’s private speech. Jesse Dukes does not have Confederate ancestors. But in the time he has spent writing about Civil War re-enactors, he has met many who say they do.